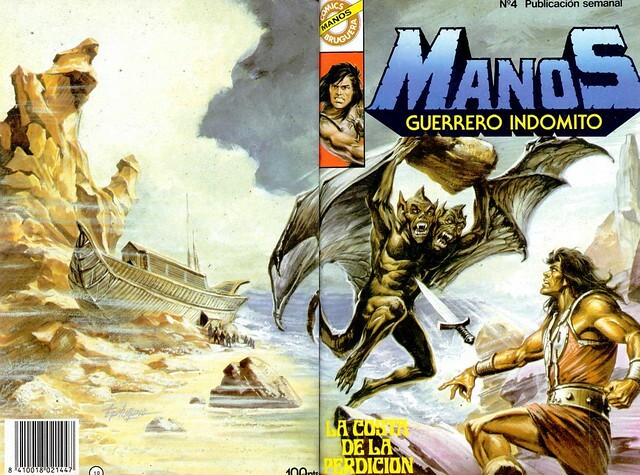 While zipping around the Monster Brains blog site, as I often do looking into some of the incredible artwork and high weirdness I stumbled upon the incredible artwork of the Manos (Guerrero Indomito) comic books. Man special thanks to the Monster Brains blog site for finding this incredible material! 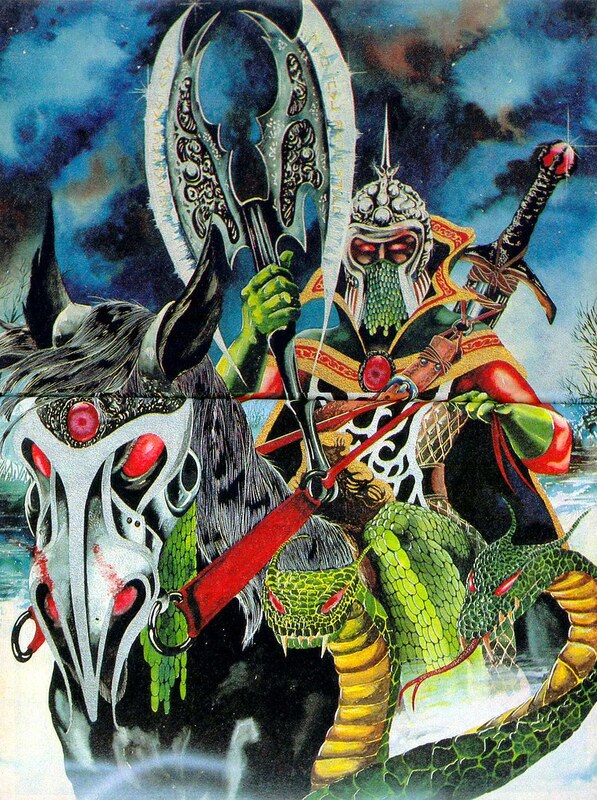 Each and every sword and sorcery comic cover is a like a mini little work of art. The lurid pulp details, the weird ruins, the subject matter, and that 80's vibe. The wrap around covers are just great and the details are well done, man I do so wish that D&D adventures had picked up on this graphic art trend for their covers. These are so good in the unbridled weirdness and pulpy details of the artwork, its like the eye is drawn right into the demonic and magic drenched world of the hero. What the hell is going on, well it took me a bit of time to track down some information on our hero. He's got a very interesting pedigree according Silvia Moreno Garcia's website our hero isn't simply another barbarian warrior, he's an adventuring king. 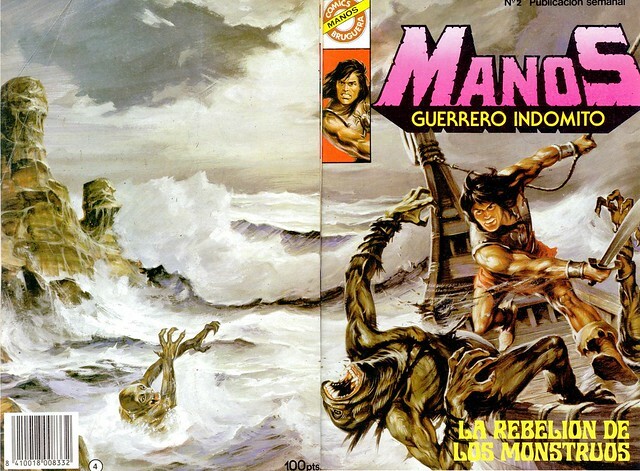 "Manos was a comic book published in Spain by Editorial Bruguera. I’ve heard that it was actually a translation of a German comic titled Manos Der Dämonenjäger. 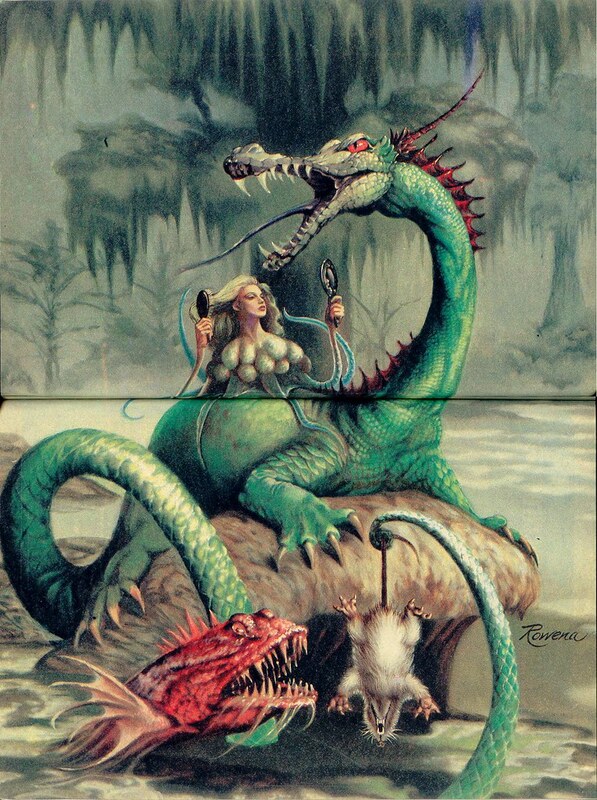 Apparently a single issues was published in Spain by Dalmau Socias Editores as Wulkan before making its way to Bruguera, which published a variety of speculative fiction. However, I cannot confirm the existence of the German edition as I only read the Spanish-language comics. 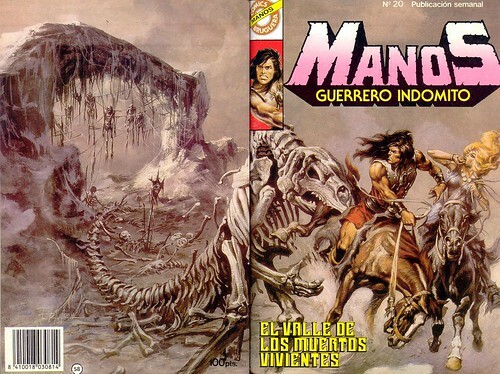 At any rate, it was drawn by a Spaniard, Correa, and was supposed to be a ‘homage’ to Conan. It was actually a fairly blatant copy of Conan, at least in the first few numbers. 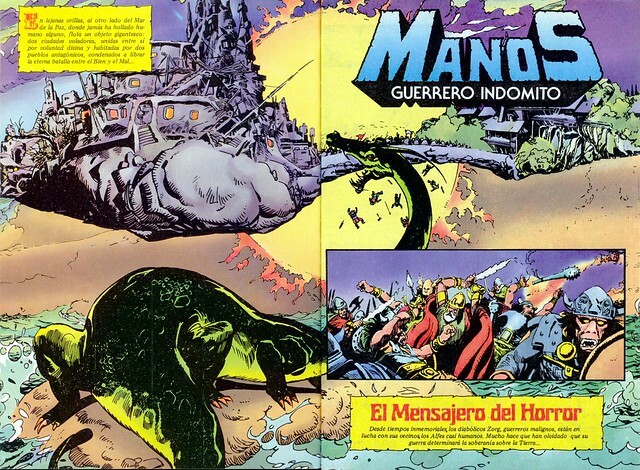 Manos was not the first sword and sorcery hero to appear in Spanish-language comics. Víctor de la Fuente created Haxtur in 1971. Haxtur is a guerilla fighter who is transported to a secondary world populated by warriors and wizards. Fuente also created Mathai-Dor and Haggarth. Esteban Maroto(credited with coming up with Red Sonja’s bikini) drew Manly and Korsar. Other barbarian heroes out of Spain include Andrax, Arcano and Sigfrid, plus a plethora of comics too numerous to name. 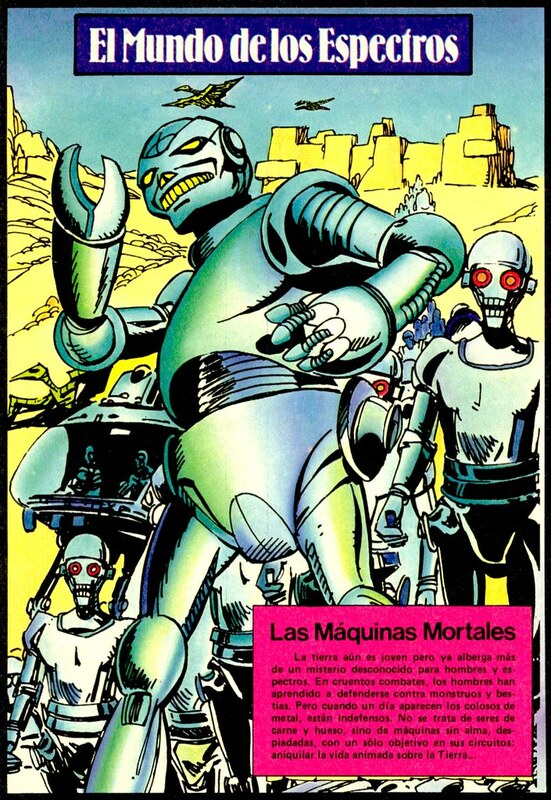 Suffice to say there is a rich history of speculative history comic books in Spain, and also in Latin America. 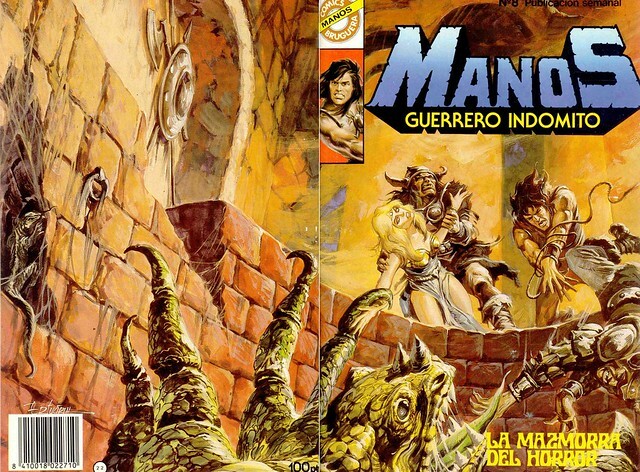 Sword and sorcery has been but one sub-genre which got the comic book treatment and Manos only one hero, probably one of the minor ones if we compare him to the likes of Haxtur. 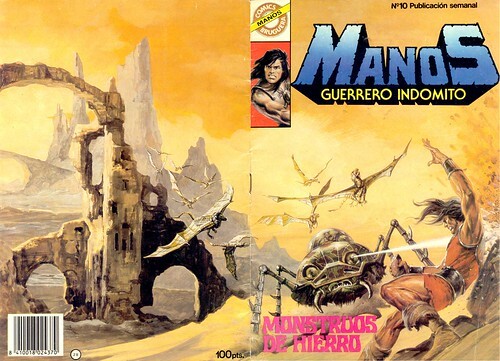 However, Manos was one of my first forays into sword and sorcery, which is why I’m bringing him up today. But back to Manos. Manos is the ruler of the city of Polis, where he lives together with his sister Parda and rules with the wise counsel of Zango. 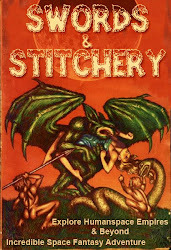 During his adventures he meets the feisty Alana, who becomes his love interest. 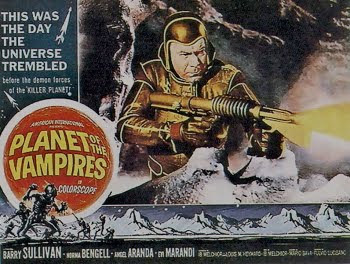 Although Manos does perform as a low-rent Conan, he sometimes moves in more interesting directions. First of all, Manos is a king who, on the side, goes on adventures. As the series goes on, things take a turn for the worse. He is forced to abandon Polis and heads to other lands with Parda, Alana and Zango. Eventually Parda marries an evil demon lord, Manos kills the evil lord and he continues onwards only with Alana (Parda having become his mortal enemy). We could say that while Conan climbs his way to a throne, Manos descends into bleaker situations." In fact Ms.Garcia goes into a greater detail about our hero and his connection to the Chthlu Mythos! That's right there is a twenty four caret connection between the hero and the Mythos. Read more at her fantastic website right over HERE. Ms. Garcia goes into a huge amount of detail and has a pretty solid commentary about this comic book. 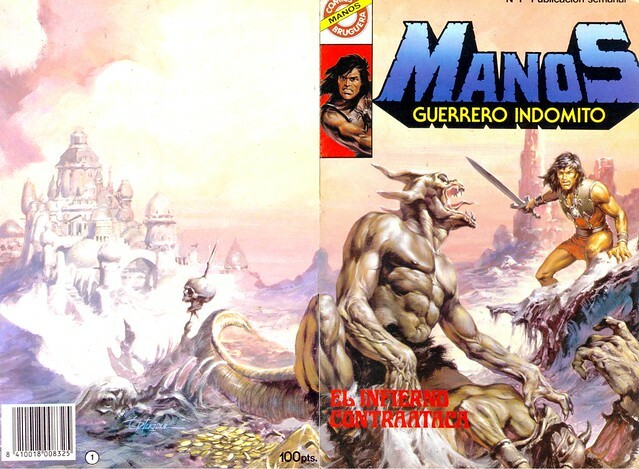 Thanks to the author for putting up this fantastic summery and commentary on this Spainish sword and sorcery hero from the 80's. Does it get any better then our hero battling sea serpents,undead things from beyond the grave, Cthulhu Lizard Dragons, and monsters from out of the depths of Hell itself. 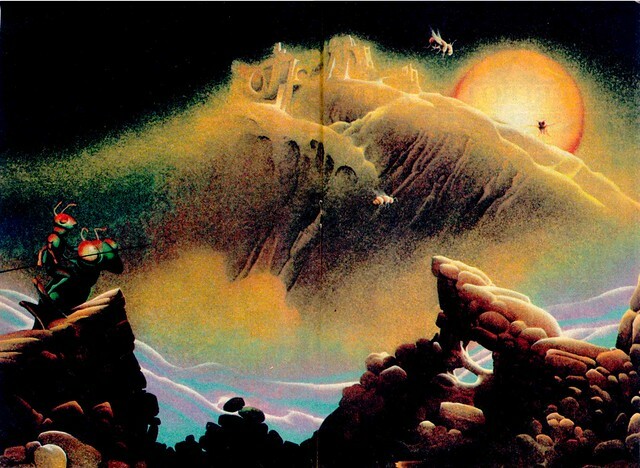 There are at least twelve or fifteen campaigns worth of material alone for the Astonishing Swordsmen and Sorcerers of Hyperborea rpg system alone here not to mention some of the other retroclone systems. Why did I never know of these back in my comic collecting days? Don't get me started on the interior artwork as well! The splash pages are a thing of lurid pulpastic things of beauty! Simply bask in them. Boy doesn't this ruined pile look incredibly familiar to us OSR crowd! More material from this era coming up Bruno! Cheers pal! Thanks for the comment!